McCraney Property Company develops and manages commercial/industrial, office/flex, office, and warehouse distribution properties located in West Palm Beach, the Treasure Coast and Orlando, Florida. The company has developed corporate holdings exceeding 2,500,000 square feet. Services include development of Class A business parks, acquisitions, joint venture investments, construction and property management. The company was recently named Developer of the Year for 2012 by the NAIOP Central Florida Chapter. Led by President and CEO Steven McCraney, the company is very active in the commercial real estate industry and through its philanthropic endeavors in the communities it serves. Steven E. McCraney, President & CEO of McCraney Property Company (MPC), has offices in West Palm Beach, the Treasure Coast and Orlando, Florida. A self-made entrepreneur, he and his team have developed, owned, and managed more than 2,500,00 square feet of commercial/industrial/distribution, office-flex and low rise office properties throughout Florida. Additionally, MPC has developed and operated more than two dozen company-owned gas station assets within the South Florida and Orlando markets. Active office-industrial developments include The Vista Center Business Park, West Palm Beach; Turnpike Business Park, West Palm Beach; Orlando Central Park and Treasure Coast Commerce Center, Stuart, FL. 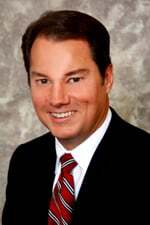 Mr. McCraney was the 2012 President of the NAIOP (National Association of Industrial and Office Properties), South Florida chapter and is a member of NAIOP’s National Board of Directors, He was also awarded Developer of the Year for Central Florida in January 2013. He is an active member of CCIM, SIOR, and of YPO – Young Presidents Organization, and is the former YPO Florida Chairman. He also serves on the Southern US Region Board of YPO-WPO. Other boards that Mr. McCraney serves on include the University of Florida’s Bergstrom Real Estate Advisory Board, Northern Palm Beach County Chamber of Commerce, Villanova University DiLella Center for Real Estate, Place of Hope Leadership Advisory Council and Bella’s Angels, Inc. Former board positions include the Palm Beach County Cultural Council, Boy Scouts of America, Gulf Stream Council, and the Palm Beach County Business Development Board. Mr. McCraney earned his degree from Villanova University, located in Villanova, Pennsylvania, and has completed additional post graduate work at Harvard Business School and Duke University. He is an active alpine mountain climber, having scaled many of the world’s tallest peaks. Recent summits include: Mt. Elbrus, Russia – 18,510 elevation, Mt. Aconcagua, Argentina-22,241 elevation; Mt. Kilimanjaro-Tanzania, Africa-19,340 elevation; Mt. Rainier, Washington State-14,411 elevation; the Grand Canyon Rim-to-Rim to Rim 48 Mile/24 Hour Challenge, and ran the 2012 Marine Corp Marathon, Washington DC.